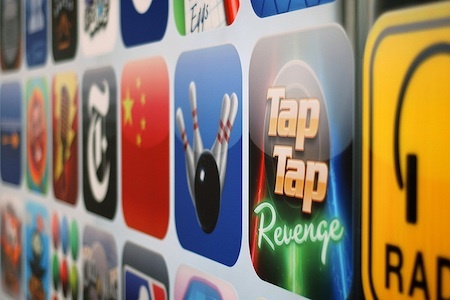 Home > Blog > Apps > Does My Business Need an App in 2014? Does My Business Need an App in 2014? When smartphones first arrived on the consumer market, many of the biggest online brands responded by developing dedicated mobile versions of their website. This enabled mobile users to access a mobile-friendly website and desktop users to access a desktop-friendly website hosted at a different URL. Another popular response was to develop a mobile app that would allow smartphone users to download and engage with your content at their leisure. However, in recent years responsive website design has given businesses of all shapes and sizes the ability to create responsive websites that display content in the most helpful format for the user’s device. This has been particularly effective for e-commerce retailers, who can now maintain one website – including stock, offers, links etc – rather than having to maintain a desktop and mobile versions and their mobile app. In response to the question “does my business need an app in 2014?” it can be tempting to suggest that the answer is a straightforward ‘no’. After all, surely apps are primary used for social media and games, not business use? Well, whilst it’s true that social media and games offer some of the highest engagement for app users, here are 4 uses of apps that might just help your business to grow its audience in 2014. A great way to use apps in 2014 is to accompany a conference or corporate event that you are running. This gives you an opportunity to encourage a large number of people to download and use the app simultaneously. It is also an opportunity to connect with people who are already highly engaged in your brand/business because they have chosen to attend the event. Developing an app for a conference or event allows you to expand and adapt your brand in a way that complements your existing website design and branding. It helps to meet the user’s felt needs – providing them with all the information and media that they need in one place – and communicates that you are a resourceful and trustworthy brand. The rationale for developing a travel and tourism app is very similar to that mentioned above for events and conferences. When you have a highly-engaged audience who are looking for the same information, an app can provide a cheap and convenient alternative to a traditional guidebook, with the additional bonus of being regularly updated and sharing promotional offers for food and local attractions. One of the most popular uses for apps in 2014 is to help you develop and maintain a healthy lifestyle. Examples of this kind of app would include fitness apps that help you to plan and track your training regimes and dietary apps that help you to keep a record of the calories you’ve consumed. In January 2014, 46 million Americans used a health and fitness app, a figure that represents around 1/3 of all smartphone owners. Apps that help people to pursue a healthy lifestyle on a daily basis are very popular and very engaging. The average use time for the 46 million Americans who accessed lifestyle apps was around 1 hour/month, typically spread over 16 days. This means that users are integrating use of the app into their daily routine; it’s a fantastic opportunity to connect with your audience on an ongoing basis. If your business can help people to solve a problem – even as simple as providing travel information, weather updates, cooking tips, editing photos or entertainment during the commute – then it might be worth considering developing an app. If you can helps the user to solve a problem and improve the quality of their life, even in the smallest of ways, you have the potential to generate revenue for your business. VizionOnline is a leading UK website design company. If you have questions about your website – or would like advice on how to improve your online presence – please contact us today for more information.